Thank you for your hard work as always. I think there must be many difficult problems, but you seem to be doing your best. However, I do not recommend doing things such as staying up late and pushing yourself too hard. Also, if there is anything you are conflicted over or troubled by then please discuss it with me first. I am worried about you I would be bothered if unnecessary work was increased. This entry was posted in Collaboration, Otome Games, Sengoku Night Blood and tagged Kadokawa, Marvelous!, Mobile, Otomate, SNB Mitsunari. “Thanks for the chocolate. I need to reward you for putting in this much effort to show your feelings, huh. 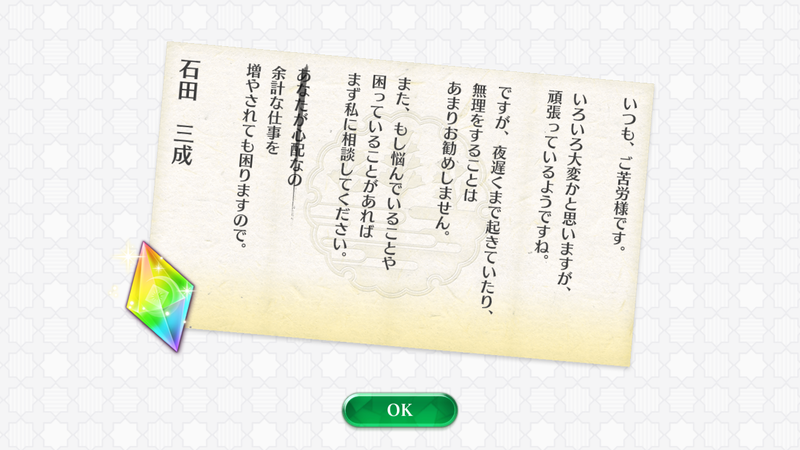 Starting White Day messages off with a bang from the Toyotomi Army! 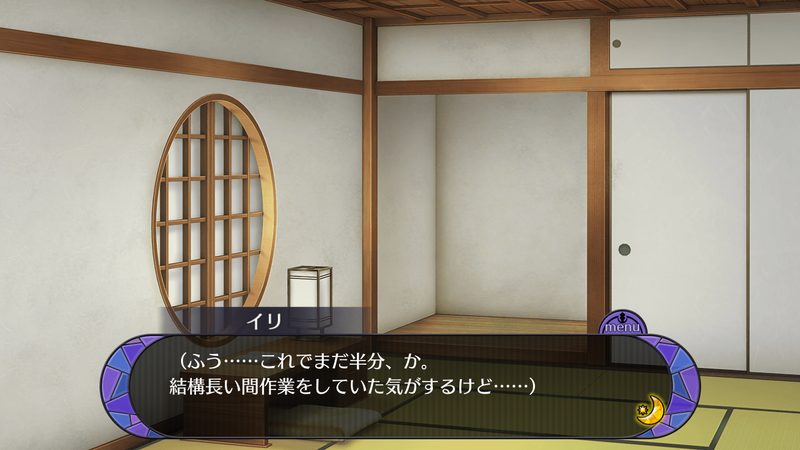 I started helping Mitsunari-san since the early morning and, by the time I realized it, it was already noon. 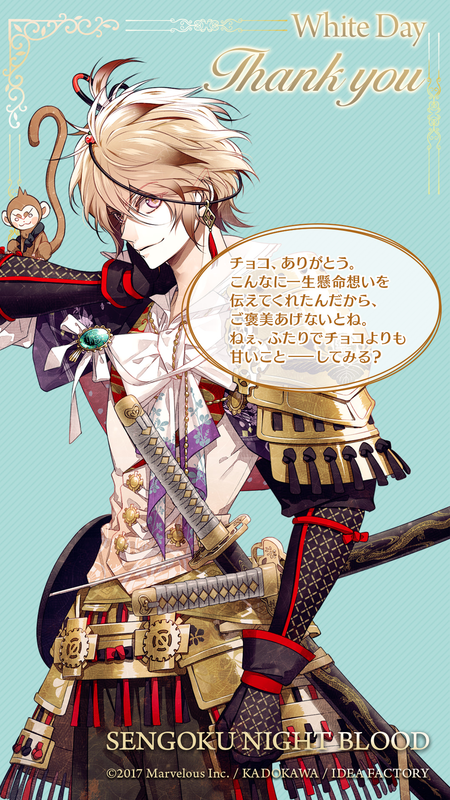 This entry was posted in Collaboration, Otome Games, Sengoku Night Blood and tagged Kadokawa, Marvelous!, Mobile, Otomate, Sasaki Yoshihide, SNB Mitsunari.